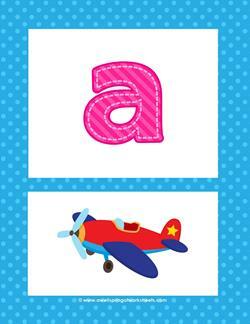 Go to this page to see the coordinating uppercase alphabet posters or this page to see more alphabet letter sets. What a cutie for a caterpillar with his body all curvy and round! 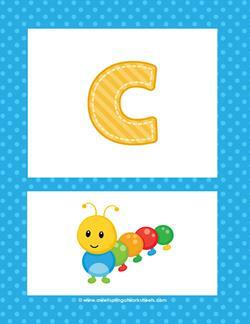 He's paired together with this striped lowercase c to make this special alphabet poster just for you. 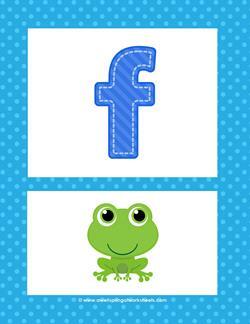 Don't let your eyes bug out at the sight of this cute little froggie on this lowercase f alphabet poster! He's ready to jump just as you recite the letter f.
Jiminy cricket! 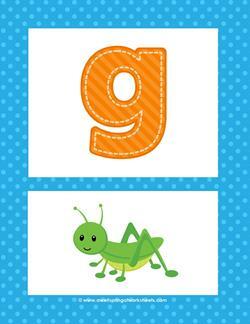 Here's an alphabet poster for lowercase g with a hoppity little fellow and a glowing stitched and striped g.
Ohhh! Ahhh! Look at those fancy jewels all shiny and bright. 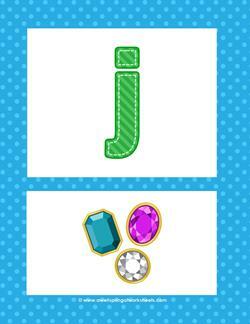 J is for jewels and that's what you have on this alphabet poster for lowercase j. Here's a key to unlock the door to all your greatest dreams! Just kidding! 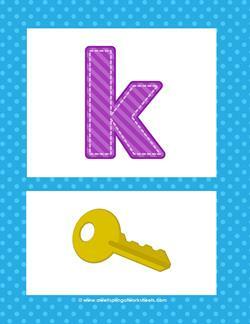 It's actually just a key on this alphabet poster that goes along with the lowercase purple k.
I can picture a wonderful summer dress in the colors of this alphabet poster - bright blue and sunny lemon yellow. 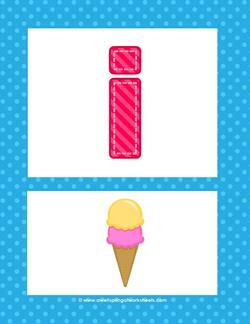 Use this poster in summer, winter, spring or fall. These little mushrooms look innocent enough (but don't eat the poisonous ones!) 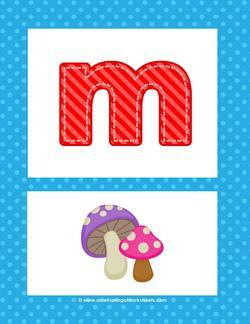 planted on this alphabet poster for lowercase m. Enjoy them as you practice saying /m/. Veerryy niiicce! I love that pearl necklace with a diamond pendant (okay, so it isn't a real diamond, but we can pretend!) 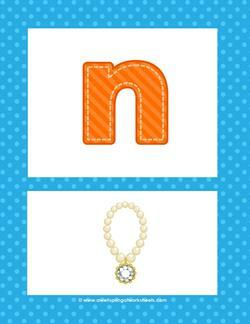 dressing up this alphabet poster for lowercase n.
Did you have a question, my dear? 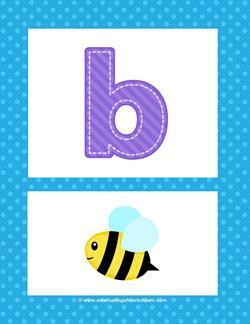 Why not a queen in this alphabet poster for lowercase q? 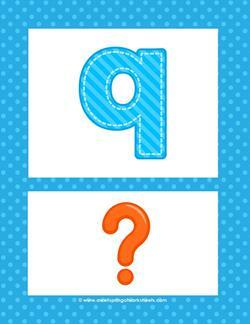 If you must know, I used the queen in the uppercase q alphabet poster! 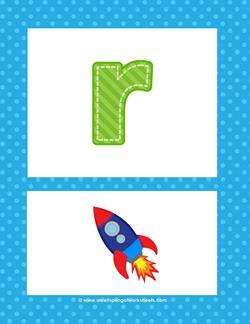 Shoot for the moon with this bright green letter r and colorful blue and red rocket alphabet poster for lowercase r. Even if you miss you'll land among the stars! 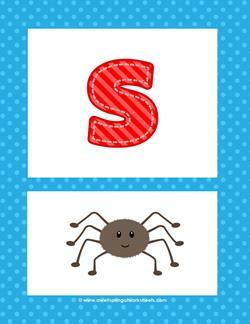 The itsy bitsy spider climbed up the water spout, and then he got bored and decided to climb on this alphabet poster for lowercase s so he could help kids learn the s sound! 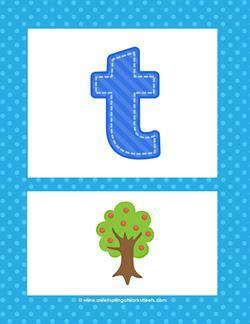 Trees have many uses: you can plant one, climb one, pick the fruit off of one ... or use one on an alphabet poster for lowercase t! 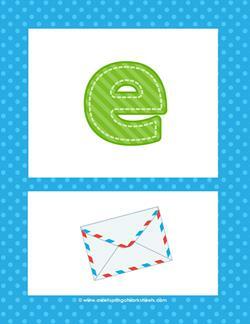 Read the letter t and sound it out /t/. Do you love beautiful music? 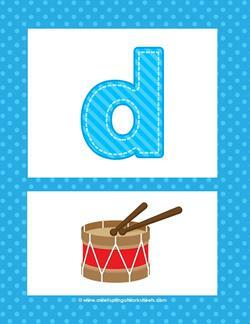 Well, here's a great place to start - with an alphabet poster for lowercase v! 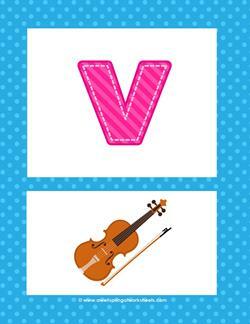 Can your kids recognize the sound of the violin? 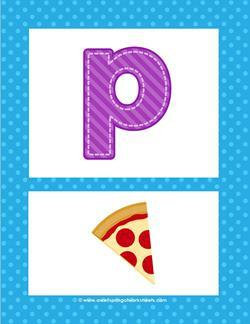 How about the letter v? 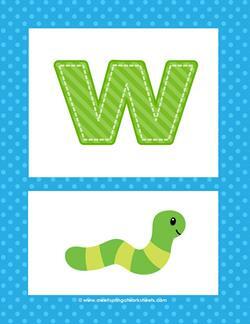 Wiggly, wiggly worm wiggling his way across this alphabet poster for lowercase w. Caught in transit across this page, as I hope your kids are, moving along learning their letters. You're almost there! 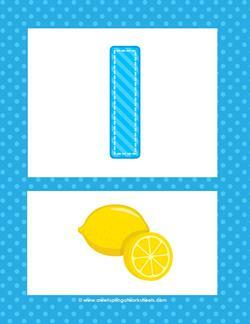 Just two more letters after this one. 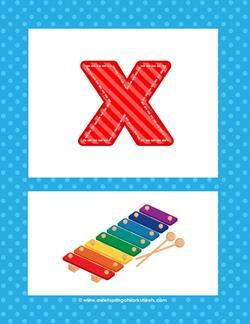 So enjoy this lowercase x alphabet poster and celebrate! You're near the finish line. Don't give up! 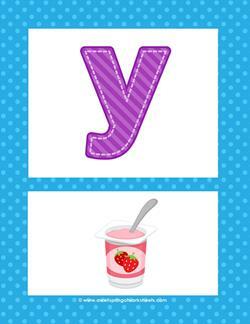 Yummy pink strawberry yogurt and a purple striped lowercase y come together on this alphabet poster. 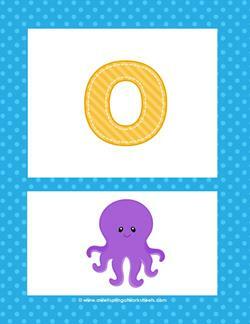 Y can be both a vowel or a consonant and has many sounds. Zip, zip, zip! Up and down! 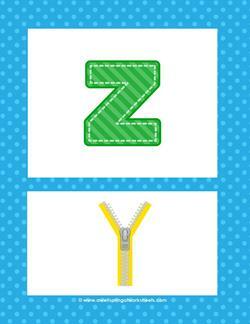 Now that you're at z I bet you can zip your way all through the alphabet! 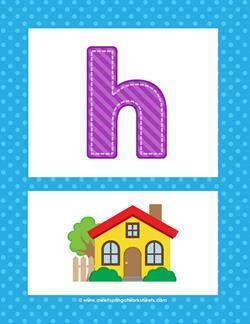 Hope this alphabet poster with lowercase z has zipped you through to the end! I made things easy for you. 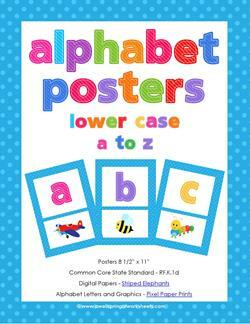 I put all the lowercase alphabet posters all in one PDF. You can hit print, walk away, come back, and voila!